ClubCorp has partnered with the World Golf Foundation (WGF) in the development of GolfForHer.com, a new website designed to increase women’s participation in the game. GolfForHer.com – for beginner, junior, recreational and competitive players – offers a wide range of content from golf programs, tips about rules of the game, etiquette and instruction to finding America’s best women-friendly courses and instructors and networking events. 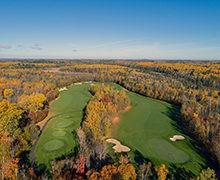 With a company-wide focus on growing the appeal and accessibility of the game of golf, ClubCorp clubs offer complimentary clinics, family fun days and a variety of social golf programming. Other contributing organizations include the LPGA, the PGA of America, the PGA TOUR, The First Tee, the USGA, ClubCorp, the Executive Women’s Golf Association, Golf Digest and GOLF 20/20, a subsidiary of the WGF.